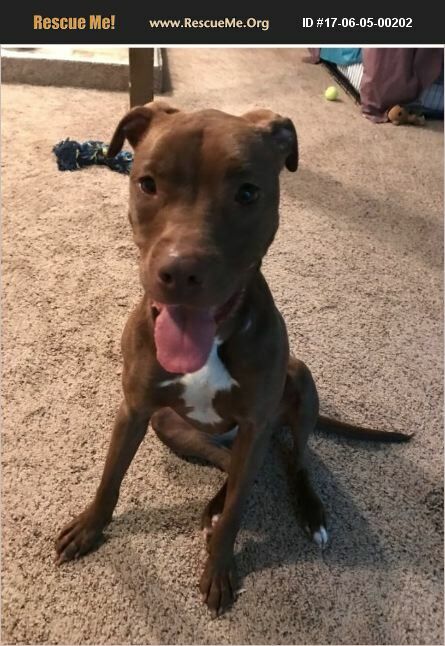 Ryla is a high energy and very playful. She loves snuggling up to you for hugs and kisses(lots of kisses)! She would do best in a home without small children until she is settled in. She would love a fur friend with high energy or tolerant of hers! Ryla goes crazy for tennis balls and outdoor activity, so a house with a big yard would be perfect for her to play in! She's still small, around 40-45lbs, and probably close to 15 months old. She is potty trained, and in the process of crate training!